MadRat now has 70 board games that sell in 2,000 big and small stores across India. Having reached the milestone of 100,000 games sold last September, MadRat now has revenues of more than Rs 50 lakh per month. Bangalore-based MadRat Games has a 50-people team headed by husband-wife duo Rajat Dhariwal and Madhumita Halder, both IIT graduates. But it wasn't technology that fascinated them for a career. "We shared an inclination to work with children," says Dhariwal, designated Head Rat (CEO) of MadRat Games, who quit his job at the world's largest online retailer Amazon at Seattle after a few months, and came back to teach middle school kids at Rishi Valley School, 150 km from Bangalore. So did Madhumita who was working with Mumbai-based special effects company Rhythm and Hues. At school, while the duo realised the power of play to engage children, they wondered why there wasn't a language game in Indian languages, just as there was Scrabble, a hugely popular word game in English. Invented in 1938 by New York architect Alfred Mosher Butts, the game sells in 121 countries in over 29 languages, but no Indian language. That seeded the idea of Aksharit, the Hindi board game. Unlike English, which has 26 letters that can form all words, Indian languages have many more and are complex to gamify. "Our languages are alpha-syllabic, involve matras and half words which make them very complex to gamify," says Dhariwal. Having developed a rough, hand-drawn version of the game, the start-up won a business idea competition at IIM Kolkata in January 2009. Encouraged, the team refined the game, using transparent square keys printed with matras and half words that can be placed on top of the alphabets on the board to create Hindi words. A junior version of Aksharit, when tested in language classes at Rishi Valley School, was found to aid language learning in terms of word formation and use of matras. "We observed that the interest in language amongst kids spiralled. That made us think on a wider scale," says Halder, designated Driver Rat, who looks after everything at the start-up. In January 2010, the start-up went about piloting the games across different states, starting with Chhattisgarh, where Aksharit was piloted with 1,000 schools, followed by 500 schools each in Rajasthan and Madhya Pradesh. The Aksharit team, however, could not pull off follow-on orders for lack of promptness from government departments. Two years later in September 2012, they ventured into retail sales, getting into distribution tie-ups with large retail stores like Shoppers Stop, Hamleys and Central run by Future Group as well as mom-and-pop toy shops. 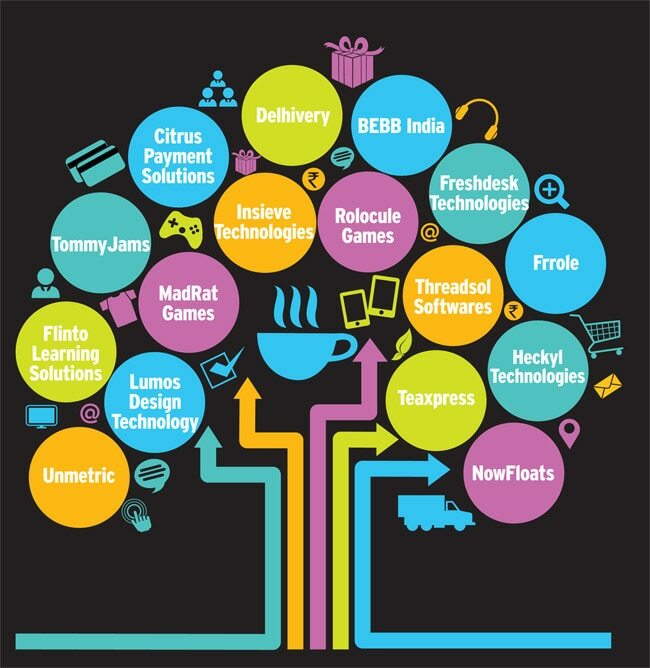 Funding to the tune of Rs 3 crore from Blume Ventures and US-based First Light Ventures in the same year helped, because going the retail route required investments in developing new games and building a sales team. Having fine-tuned the capability to develop and launch five new games every month, MadRat has now developed a portfolio of 70 board games that sell in 2,000 big and small stores across India. Some of the bestsellers include Let's Shop, which helps build memory in girls, and MadRat Antakshari, a board game version of the classic Indian song-cue game. Others are My Toy Factory, The Great Expedition and Mars Maths. The company reached the milestone of 100,000 games sold in September 2013. Thereafter, it listed its games in online marketplaces like Flipkart and Snapdeal. As of now, MadRat makes about Rs 2-3 lakh per month from Flipkart, while its total revenues is about Rs 50 lakh per month. Innovation in packaging design is also on the way. "Packaging can make a big difference to sales. We are trying new designs, so that board games are packaged much more attractively than the usual mithai ka dabba," says Halder. Currently, MadRat operates two production units in Bangalore that ship out 20,000 games per month. The biggest challenge a start-up like MadRat will face is building manufacturing capabilities and maintaining global quality standards and distribution networks. Proper display of games at stores is another bottleneck. "Other than speciality stores like Hamleys, the display at most stores including Shoppers Stop is poor due to space constraints," says Philip Royappan, Marketing Manager at Funskool India, one of the biggest board game makers in the country. "Big brands work much better for board games." Funskool is a joint venture between tyre giant MRF and US- based toy maker Hasbro Inc., which manufactures games for top brands such as US-based Hasbro and Anjar Games, and German company Ravensburger; it also sells games under its own brand called Giggles. "It takes long to establish a new game in the market," says Royappan. With a 20-people sales team, headed by Siddharth Prabhu, former Regional Manager at Mahindra Retail, MadRat is focussing big time on ramping up distribution, and tracking sales. "We have created an app to capture real time data on actual sales happening through local or large stores," says Dhariwal. While competitors like Funskool sell games starting from Rs 149 to high-end games like Monopoly Electronic Banking priced at Rs 1,499, MadRat is focused on the mass market. "We have priced our products at Rs 250-350," says Dhariwal, who earlier in March launched Autista, its first game on Apple's App Store. It is a learning game launched for children faced with Autism with a research partnership with Cornell University, IIT Guwahati, and Centre for Autism at Bangalore. Earlier in 2012, the company had launched four versions of Aksharit for desktops and Word Matki - a fast-paced language game in four Indian languages - Hindi, Bengali, Kannada and Tamil.